Will Uber's Recent Numbers Support Its IPO Valuation? Uber's third-quarter numbers are out and aside from strong revenue growth, it's more of the same. Case in point? Losing over $1 billion. About a month ago, reports began to surface that Uber was looking for an IPO in the first half of 2019 and aiming for a $120 billion valuation. No, that's not a typo. The ride-hailing company is aiming to garner a valuation that comes at a 70% premium to the valuation it garnered less than a year ago near $70 billion. It clearly still has an appetite for capital, as it raised a boatload of cash from SoftBank (SFTBY in December and recently priced $2 billion worth of bonds last month. Now that we've got our hands on Uber's third-quarter numbers, we can get an even better look at what's going on. Revenue grew 38% year-over-year to $2.95 billion in the quarter. While that's the best result of the year -- with revenue of $2.5 billion and $2.7 billion in Q1 and Q2, respectively -- the growth rate is slowing. Uber grew sales 67% in the first quarter and 49% in the second quarter. So while 38% growth is anything but bad, it may concern some investors eyeing an IPO that should arrive sometime in the next six to eight months. Further, the company continues to generate a net loss, seeing red ink on its bottom line to the tune of $1.07 billion. That deepens the hole from Q2, where Uber logged a net loss of $891 million. That's a ~$2 billion loss over the last two quarters, not including the results from the first quarter. In Q1, Uber had a net loss of $577 million, although that number may show up as a $2.5 billion profit to some investors when including an asset sale to Grab, a ride-hailing competitor. That follows 2017, where the company lost $4.5 billion. Cumulatively up to $8.15 billion in revenue this year, it wouldn't be surprising to see Uber net $11.25 billion in sales for the full year. If so, that would represent 50% growth from the prior year. If Uber came in at a $112.5 billion valuation, that puts the stock at a 10-times sales multiple. In a situation where revenue is growing as fast as it is, that valuation may well be attainable. The question is, can it be justified? Truth be told, under the right market conditions, investors are probably willing to pay a valuation like that, despite the company logging notable losses. How do you justify a company like Uber losing $7 billion to $7.5 billion over the last two years and a market cap of $100+ billion? The same way Amazon (AMZN - Get Report) and Netflix (NFLX - Get Report) garnered huge valuations but showed little in the way of profits. I'm not defending Uber getting a valuation that's equivalent to a 70% premium of what it commanded in December 2017 necessarily. Instead, though, I'm pointing out that as long as these companies continue to grow sales, they will likely be able to command such a premium. The question is whether public investors will agree with that and whether we're in a market that will support such a large offering coming to market with a hefty premium. Nothing turns investors off more than cash burn, so some profits would go a long way to making an Uber IPO more appealing. 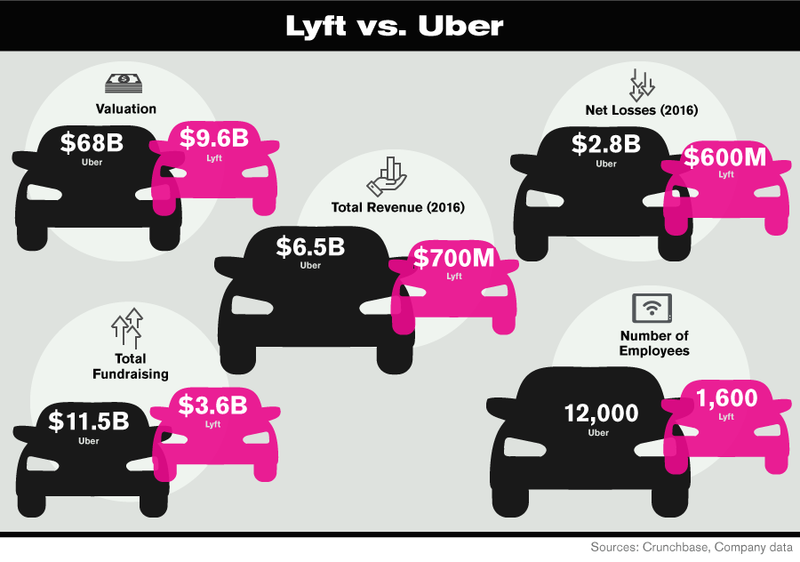 Further, we'll have to see what investors' appetite looks like if Lyft is able to IPO before Uber. The company has seen big-time momentum in market share -- going from 17% market share in the U.S. in January 2016 to 35% now -- and has seen its valuation climb from $5 billion two years ago to $15 billion earlier this summer. So that's also an interesting dynamic to watch.